From Inside has won the Grand Prix of the Utopiales 2008. Thank you very much to the festival and Jury! Great films were programmed for the Utopiales International Competition -- Before the Fall, The Signal, Senki, Bruise 52, Three Minutes. I am very happy to have been a part of it. 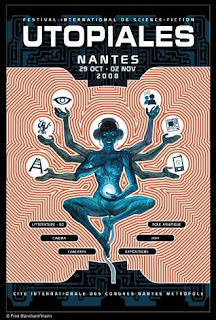 Read more about the fest, the jury, and Nantes.